Military vehicles are often mis-identified as tanks, even by respected media outlets. The caption for this Reuters video states that it “appears to show Syrian rebels using explosives to blow up a military tank“. The vehicle in the video is a Soviet-made BMP-1 infantry fighting vehicle. It has caterpillar tracks and a rotating turret, but it’s not a tank. A BMP-1 infantry fighting vehicle. Not a tank. So, why is the vehicle in the Reuters video not a tank? It’s tracked, designed for front-line combat, and has a gun in a turret. However, it does not have heavy armour, nor is the gun of large calibre. The BMP-1 is a Soviet design, introduced in the late 1960s. It has a 73mm gun, which might sound big, but the T-64A, a Soviet tank introduced around the same time, has a 125mm gun. The BMP-1 has an anti-tank guided missile because its gun isn’t big enough to engage tanks, especially at long ranges. 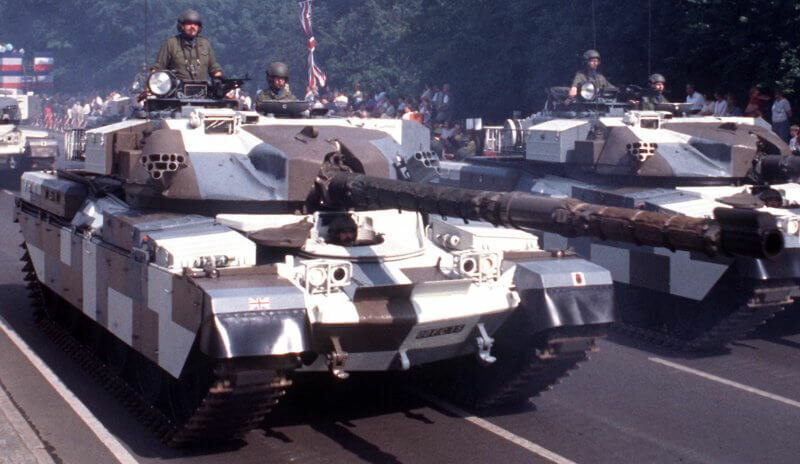 British Chieftain main battle tanks. The BMP-1 does not have “heavy armour”. Its armour (up to 33mm thick) is much thinner than the T-64A’s armour (up to 450mm thick). The role of tanks like the T-64A is to dominate the battlefield. They’re designed to be virtually invulnerable, whilst being able to destroy anything they encounter. The BMP-1 is an infantry fighting vehicle. It can carry up to nine infantrymen, giving them some protection from its armour while they are on board, and when they get out to fight, it can provide support. This short list should help you spot the difference between tanks and other military vehicles. 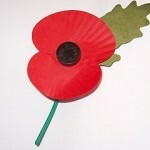 The list is based on post-WWII tanks, since they’re the ones most likely to be seen on the news. There are exceptions to these rules, but they will suffice for most people. As noted in the Wikipedia definition, tanks have heavy armour and a large-calibre main gun. A large gun needs a large turret, which in turn needs a large hull. Fitting thick armour to a large vehicle results in a lot of weight, which means a large engine has to be fitted to allow the tank to move at a reasonable speed. This results in a vehicle weighing 40 tonnes or more. Soviet tanks are often smaller than western ones: the Soviet T-80 weighs 43 tonnes, the British Chieftain weighs 56 tonnes. By comparison, the BMP-1 weighs 14 tonnes. World War 2 tanks generally weighed around 30 tonnes, although some were significantly heavier. A large gun needs to be mounted in a large turret. 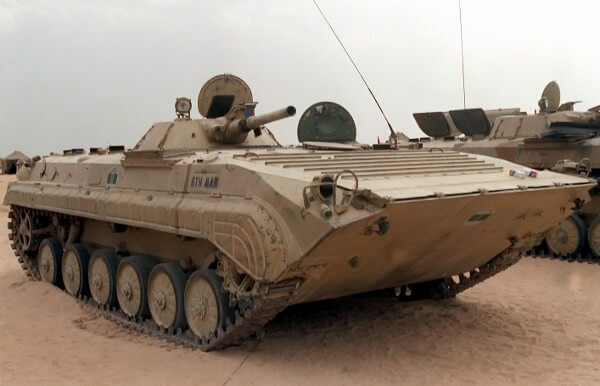 The BMP-1 has a fairly small turret in relation to the size of the vehicle as a whole. This is because the BMP-1 has a small gun, but needs a large hull to carry infantry. 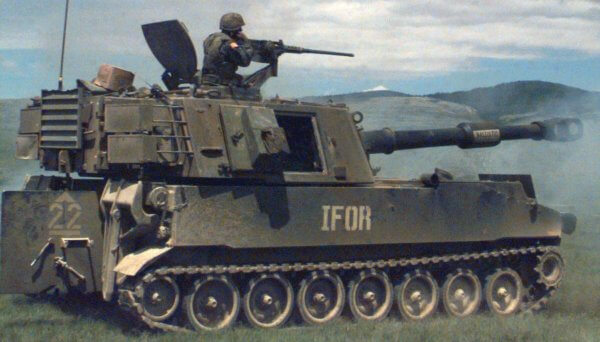 US Army M109. Not a tank. Self-propelled artillery pieces also have large guns, often larger than tank guns. They are usually mounted in turrets, but the turret will be at the rear, not in the centre. Large hatches at the rear of the turret or hull are a common feature. Self-propelled artillery have much lighter armour than tanks, since they operate behind the lines and aren’t intended to come into direct contact with the enemy. The vehicle above is a Soviet ASU-57 airborne tank destroyer/assault gun. 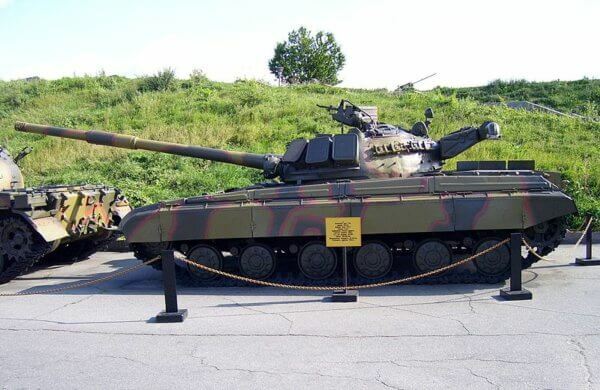 It has tracks, but it’s also small (less than four feet tall), lightly armoured and has a relatively small gun that is not mounted in a turret. The above rules are based on post-WWII tanks, since they’re the ones most likely to be seen on the news. There are exceptions to these rules, but they will suffice for most people. If you would like to try out your new tank recognition skills, you can try a short interactive quiz.